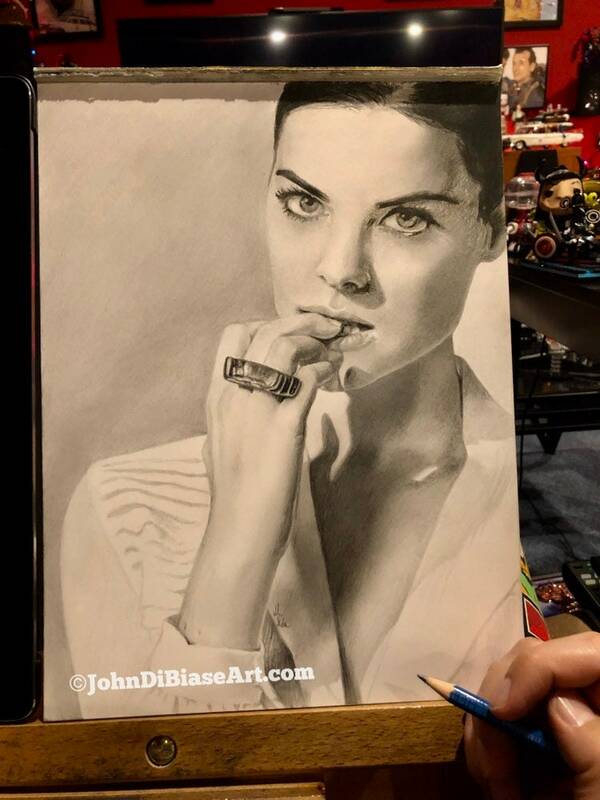 This is an Original Pencil Sketch of Jaimie Alexander, who plays Jane Doe in TV’s "Blindspot". The drawing was made using graphite pencil. It's 9x12 on smooth Bristol paper. The photo is a photograph of the actual drawing you'll receive (it's sitting on my easel after I finished it). The second photo is a digital scan of it. You're ordering the ORIGINAL, one-of-a-kind pencil drawing here.